This isn't something you see everyday...if it was straight, I'd be bidding. Nice one. I don't recall ever seeing one with a Danish style bit. Most of them have a plain amber colored bit. I've seen them with bothcheapo and Danish, even amber Danish, but the cheapo is more common for sure. This one went for $33! I noticed that. I would like to own one but not at that price. Made in the 1950s, still unsmoked and in the original package. Sold for $33.00 in 2018. That pipe has outperformed Beanie Babies as an investment vehicle. I think we all missed out on a sweet opportunity. At $33 dollars today, just imagine what it would be worth 60 years from now! You could sell it 2078 and buy a fancy dinner for one with the proceeds. 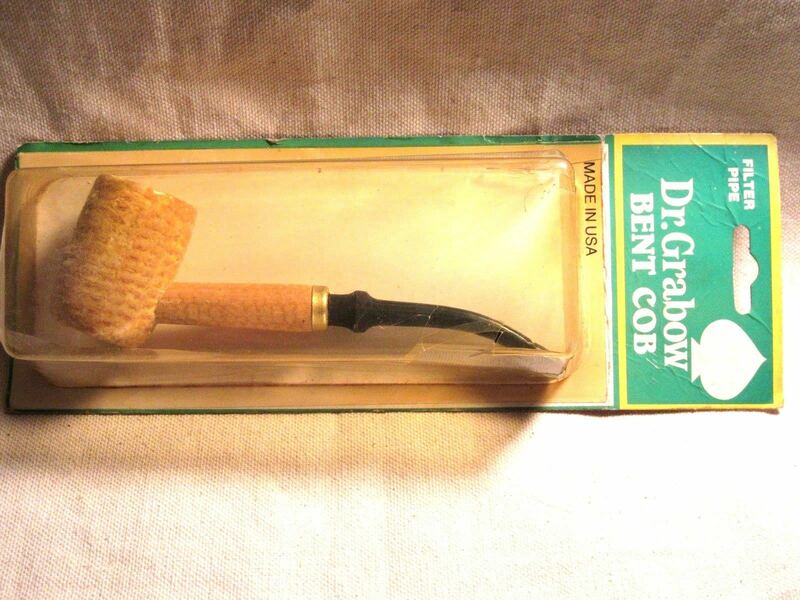 I like the used filtered Kaywoodie that's taken the cob's place https://www.ebay.com/itm/Kaywoodie-Filt ... 3217486036. Asking 23 bucks and change. I'll bet he gets 34 bucks and change---and it's used! This guy's sitting on a bowl mine. There's a market out there. Did you buy that one Father? Nope... I figured since the listing had sold, we might want to get a picture on the forum.